Please remember these are sixth grade students, not professional bloggers. All of their reviews are their own opinions. Please feel free to comment, but be kind. Thirteen-year-old Jon and his eleven-year-old sister, Tania, are typical kids—except Tania can communicate with ghosts. Their parents also happen to be the producers of a ghost-hunter television show—and have no idea one of their own kids can see ghosts. 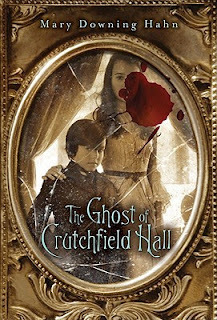 In The Ghost on the Stairs, the brother-sister duo join forces to help reunite a newlywed couple from beyond the grave. In The Riverboat Phantom, Jon and Tania try to help the ghost of a steamboat worker find peace at last—and find more than they bargained for on the river! 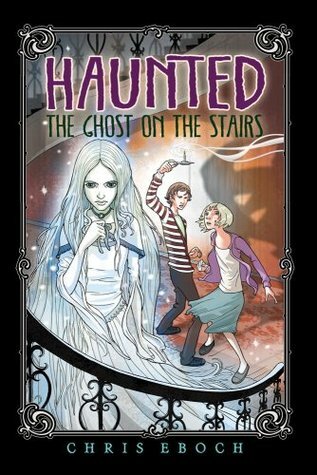 The Ghost on the stairs was a great book. I recommend this book to my sister and anyone who likes to read mysteries that gives goosebumps, with some love at the same time. 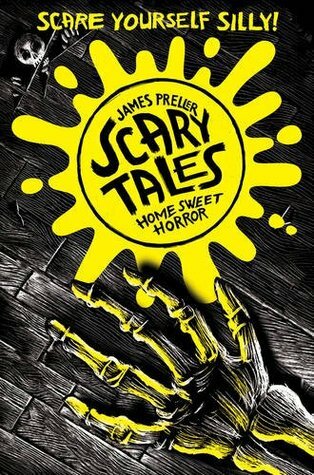 When I was reading this book I thought of my sister because she loves to read books that give her goosebumps. The story's main characters are Jon, a thirteen - year-old boy, Taina an eleven-year-old girl, their mom and Bruce the TV show guy. Most of the story takes place in a haunted house. In the story Taina went to the haunted house and she could see the ghosts and her brother Jon thinks she is in danger. At the same time Bruce is trying to catch the ghost on camera. She and her brother try to free the ghost. Will they be able to do it? This is a must read book. I read a book about a family without a mom who moved to a new house. Their son Liam Fin knew there was something going on with the house, his sister didn't believe a word Liam was saying. Then they both worked together to figure out the mystery of the house. It was a really amazing, interesting, good book. I would recommend this book to people who really love scary and mysterious books. This book started with an eleven-year-old girl named Florence that lived in an orphanage with a lot of girls and a lot of ladies that take care of them. Florence gets to go live with her uncle in a big house that is out of town. She goes and finds out her cousin Sophia had died and her cousin James has been sick ever since Sophia died. It has been almost a year. Florence feels like something is following her and she is trying to find out what or who it is. I recommend this for people who like mystery books. I had a connection to this book, because sometimes I feel like something is looking and me and there is nothing there. Anthony Dimair isn't your average teenager. Anthony Dimair doesn't have your average teenage problems. Unfortunately, Anthony Dimair doesn't know that yet. By most accounts Anthony's been a pretty normal kid his whole life. When he starts what should be a normal year of high school, he suddenly begins to change. There's something dark buried deep inside him, but it wants to get out. As people start disappearing and unknown assailants start following him, Anthony turns to his Uncle for answers. With only the help of his friends he sets off on a quest to discover the truth. But discovering the truth may very well get him killed. 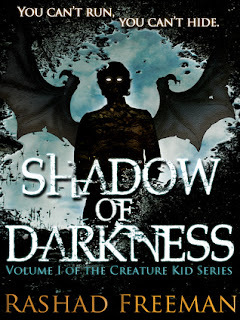 Follow Anthony on an epic adventure as he races against time and the darkness inside him. Will he survive to find out the truth? Or will he get himself and his friends killed in the process? The main character in this story is Anthony. There’s a mystery in his life he doesn’t know about. They were at Dr. Heizwick’s and Dr. Vorcick’s lab when Dr. Vorcick did something wrong. Anthony was just going to start school when he started hearing things. This book made me feel curious about what was going to happen next. This book is great for anyone who likes horror stories. I though of all the things that happened and why they happened. It reminded me of a movie called “The Evil Dead”.